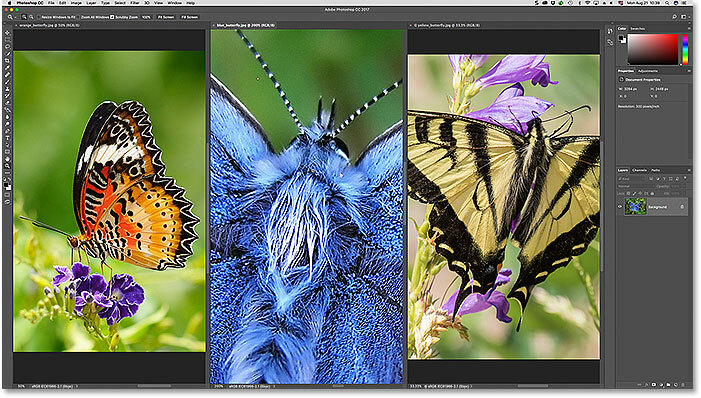 Learn how Photoshop's multi-document layouts make it easy to view and arrange multiple open images on your screen at once! Part of our Photoshop Interface series. For Photoshop CC and CS6. In the previous tutorial, we learned how to work with tabbed documents and floating document windows in Photoshop. We learned that when we open multiple images at once, Photoshop displays them as a series of tabbed document windows. It's easy to switch between open images just by clicking on their tabs. 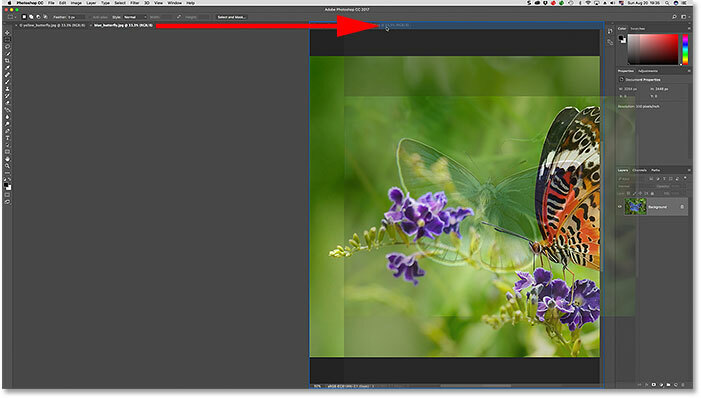 Yet by default, no matter how many images we've opened, Photoshop only lets us view one image at a time. There is a way, however, to view two or more images on your screen at once. 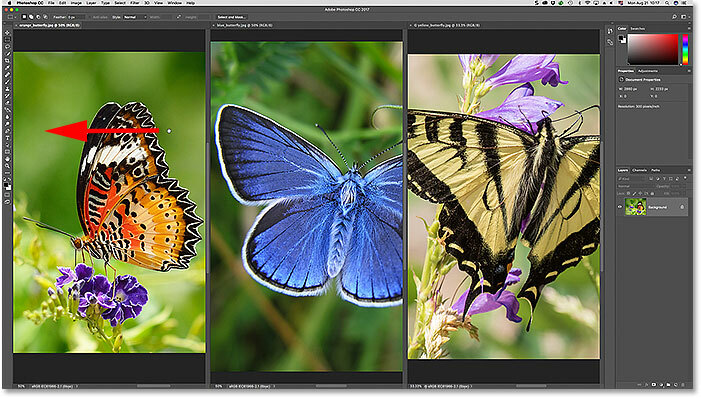 To view multiple images, we use Photoshop's multi-document layouts. These layouts are found under the Arrange menu. Let's see how they work. This is lesson 7 of 10 in our Learning the Photoshop Interface series. Let's get started! 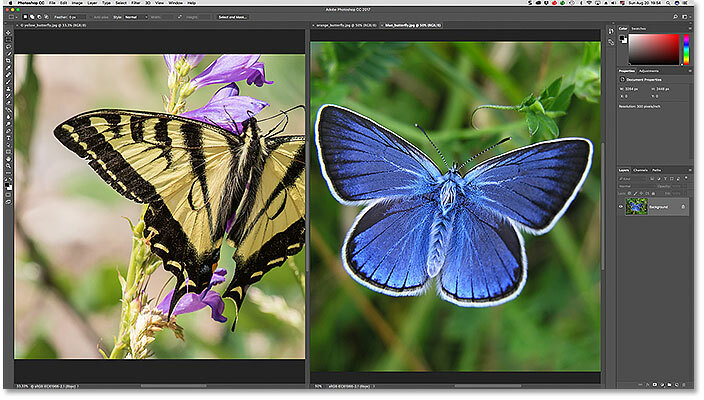 In Adobe Bridge, selecting and opening the first two images into Photoshop. The images open as tabbed documents. Only one of the documents is visible. Clicking the tabs to switch between open images. The original image is now hidden behind the new image. 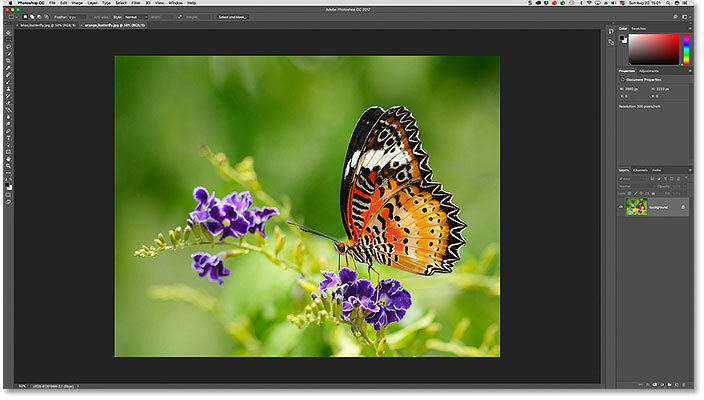 The multi-document layout options in Photoshop. 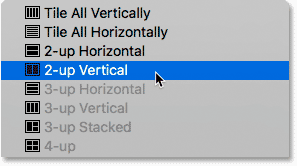 Selecting the "2-up Vertical" layout. 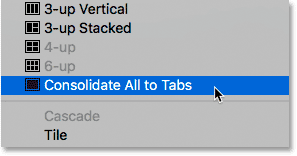 Photoshop highlights the tab of the active document window. 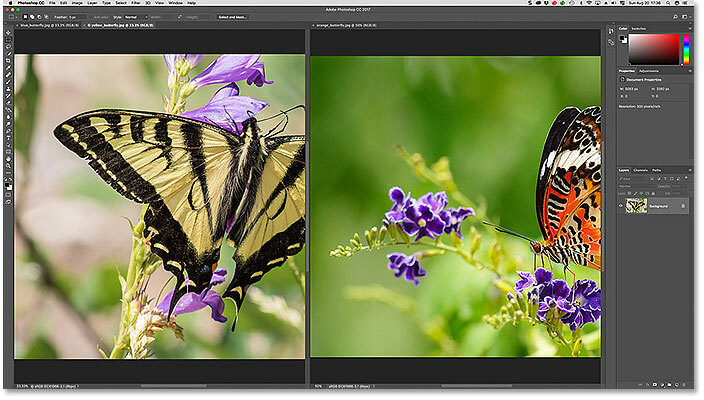 Selecting and opening a third image from Bridge into Photoshop. Photoshop grouped the third image into the document window on the left. Switching between grouped documents by clicking the tabs. The visible image in the left document window has changed. Click and drag the tabs in a document group to change their order. Dragging a tab from the window on the left into the tab area of the window on the right. The left window now holds a single image. The right window holds two images as tabbed documents. Going to Window > Arrange > 3-up Vertical. Let's learn how to zoom and pan images within a multi-document layout. We'll start with panning. To pan, or scroll, a single image within a multi-document layout, first click anywhere inside the image to make its document window active. Then, press and hold the spacebar on your keyboard. This temporarily switches you to Photoshop's Hand Tool. You'll see your mouse cursor change into a hand icon. With the spacebar held down, click on the image and drag it into position. 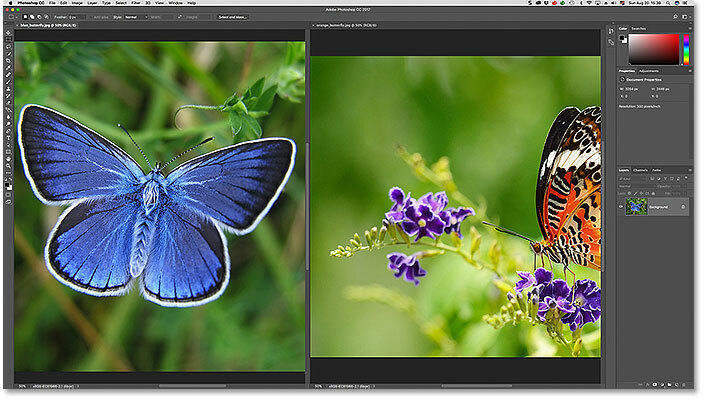 Panning the image on the left to center the butterfly in the document window. To pan all open images at once, press and hold your Shift key and the spacebar. 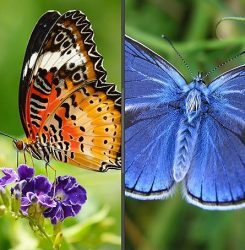 Click and drag any image within the layout to reposition it. The other images will move along with it. To zoom in on a single image in a multi-document layout, first click on the image to make its document window active. Then, press and hold Ctrl+spacebar (Win) / Command+spacebar (Mac). 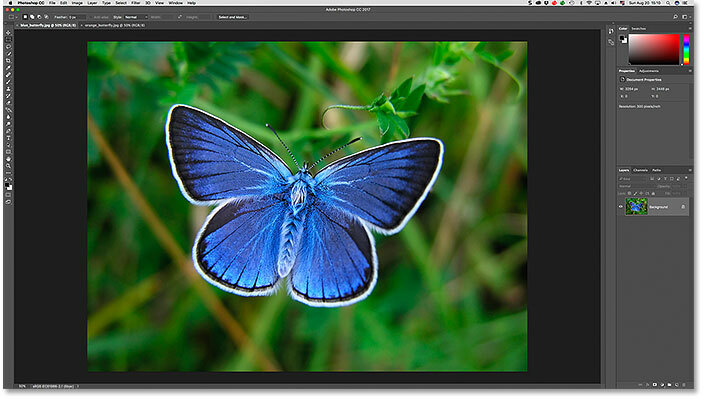 This will temporarily switch you to Photoshop's Zoom Tool. Your cursor will change into a magnifying glass with a plus sign (+) in the center. Click on the image to zoom in on that spot. Click repeatedly to zoom in further. Zooming in on a single image within the layout. To zoom out, press and hold Ctrl+Alt+spacebar (Win) / Command+Option+spacebar (Mac). You'll see the same magnifying glass cursor icon but with a minus sign (-) in the center. Click on the image to zoom out from that spot. Click repeatedly to zoom out further. 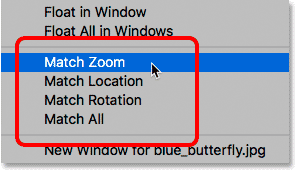 To zoom in on every open image at once, press Shift+Ctrl+spacebar (Win) / Shift+Command+spacebar (Mac) and click on any image within the layout. All images will zoom in at the same time. To zoom out of every image at once, press Shift+Ctrl+Alt+spacebar (Win) / Shift+Command+Option+spacebar (Mac) and click on any image. The Match Zoom, Location, Rotation and All options. Back to Photoshop's default document layout. And there we have it! 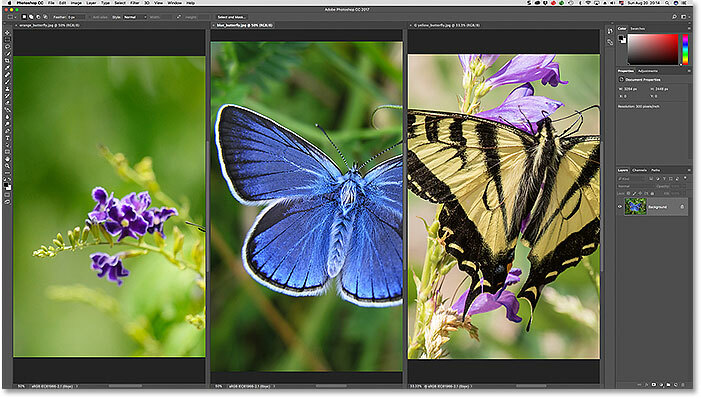 That's how to view and work with multiple open images at once using multi-document layouts in Photoshop! 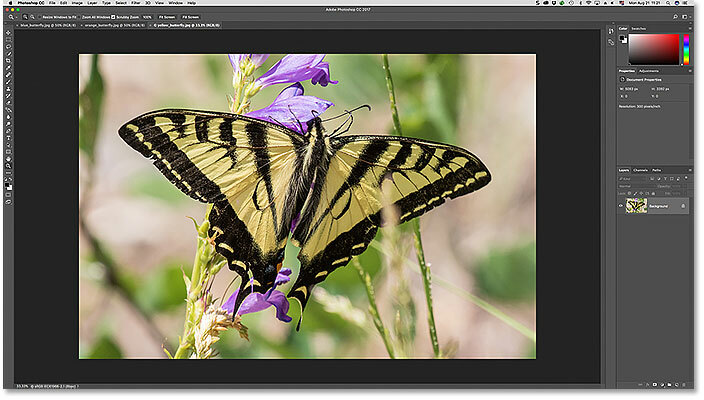 In the next lesson in this series, we'll learn how to move images between documents in Photoshop!